Thank you for the opportunity to take you on an exciting fishing adventure. 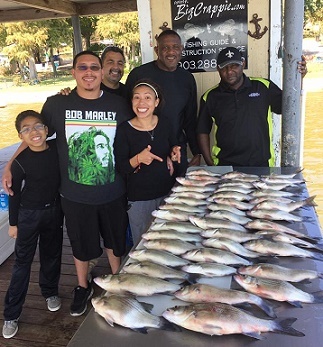 Our goal as your fishing guide & instructor and also as a company is to provide the most enjoyable and fun fishing experience, catching as many fish as the season and mother nature will allow. Please, also keep in mind every angler is unique in their experience and skill level making it impossible for us to guarantee any specific numbers of any species of fish. Although fishing is very exciting and can be rewarding, it can also be challenging to some and also very unpredictable, as all nature can be. This is an outdoor excursion, weather is just part of the excitement. 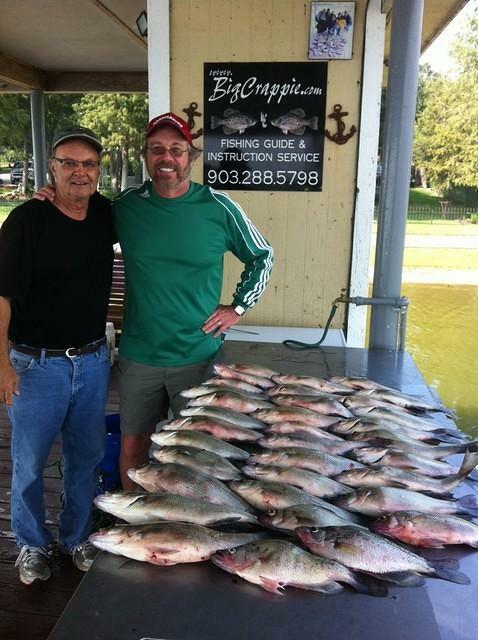 We provide Half Day & Full Day Guided Fishing Trips on Cedar Creek Lake Texas. Full Day trips are 8-9hrs and will meet approx. 45 mins before sunrise. Half Day Trips that are 4-5hrs. Morning trips will meet approx. 45 mins before sunrise. Afternoon trips meet approx. between 12:00pm-1:00pm. 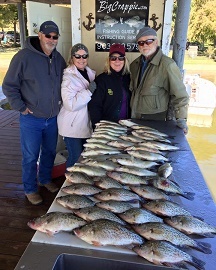 Our professionally guided fishing trip includes 2 people, fully equipped boat, experienced professional state licensed fishing guide, rods/reels, tackle, bait, bottled water and cleaning/bagging of keepers. 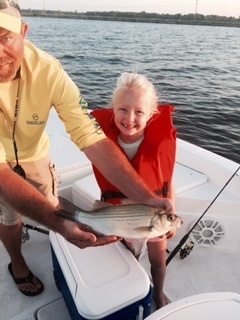 Additional anglers may be added to your trip at your request for an additional fee. Most of our boats will fish 7 adults. On Full Day Trips you will have the option of bringing a sack lunch and eating out on boat or there may be an open restaurant on the water you can go to. Guide's Choice/Best Bite-When you just want to get out on the beautiful water and just catch some fish. Relax and let your experienced fishing guide take you where the best fishing pattern has been during the time of your trip. Just sit back and allow your guide to show you what Cedar Creek Lake has to offer. Depending on the season, this could be Crappie, White Bass, Hybrid Striper and/or Catfish. 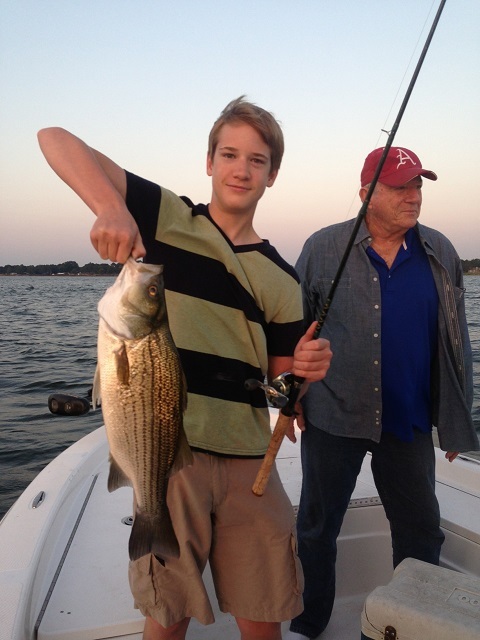 Mix Species Fishing-is a great way to learn and catch many different fish on Cedar Creek Lake. It is also a great way to learn to fish different areas and styles. 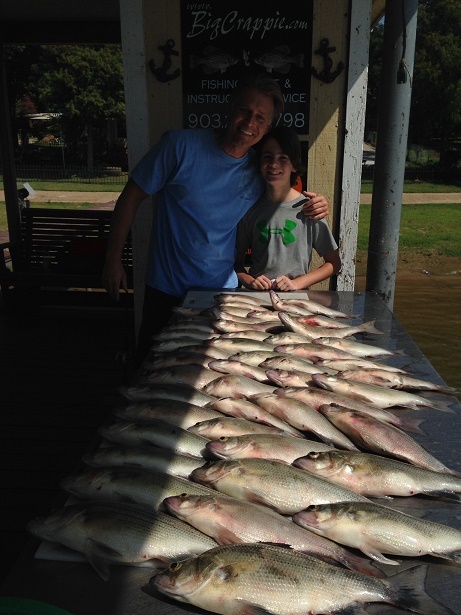 Mix bag trips would include some White Bass, Hybrid Striper, Crappie and an occasional Catfish. The guide will know how to tailor your trip for the best opportunity to try at each species. 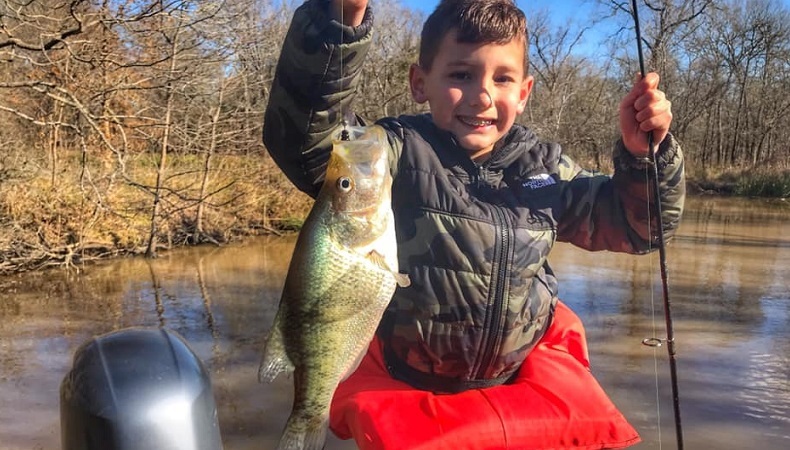 We cannot guarantee any specific numbers on any species but we guarantee you to have a great time catching fish and making new fishing memories! 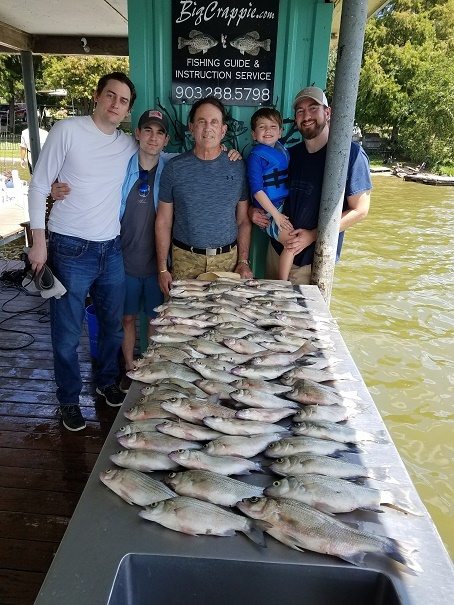 White Bass & Hybrid Trip- These trips are some of the most fun trips because there is usually lots of fast fighting action. These trips typically will catch the most fish of any type of trip. Some of the season you can cast into huge schools of fish on the surface of the water and other times of the season you fish a bit deeper to catch them. These fish fight hard and offer so much excitement for any level of angler. 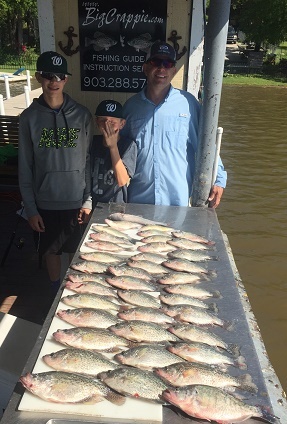 Crappie ONLY Trip (seasonal)- Crappie fishing is one of the most desired fishing trip styles with our guide service because it is the most challenging. 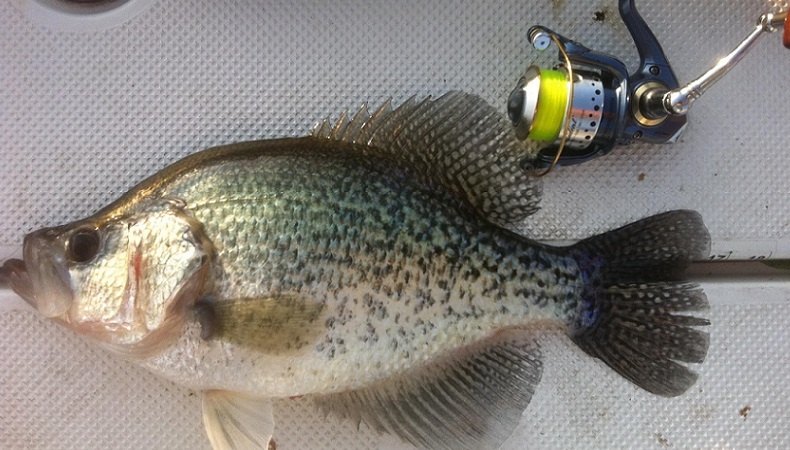 We work very hard to teach each angler the necessary skills and techniques for catching Crappie. 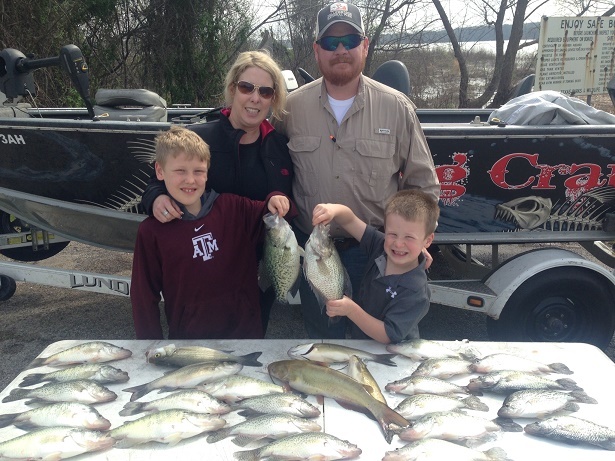 Crappie fishing Cedar Creek Lake changes with the weather, lake water levels and water temperatures. It is very seasonal. Shooting jigs under boat docks takes much practice and patients in order to bring Crappie success. 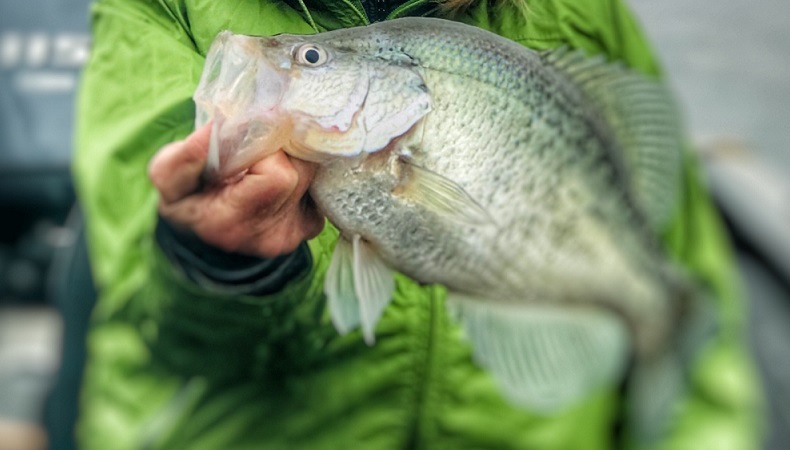 We cannot guarantee any numbers of keepers on Crappie Only fishing trips because every angler is at very different levels of knowledge and experience. 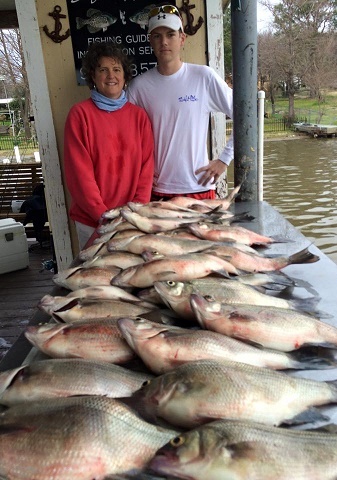 We can guarantee giving you 100% effort and a great time learning and making new fishing memories. Seminar Style- Learning Trip-We offer a service to take you out and show you how to use your electronics to find different species of fish in all different styles of structure on the lake. Your guide will show you the different styles of tackle we use for great success. We can also teach and instruct you on how to use your trolling motor to stay on structure to catch fish. On this type of trip, our focus is teaching you how to get out in your boat to find and catch fish. We can even take you out in your own private boat for more in-depth instruction.